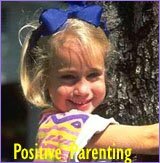 12 Positive Parenting Techniques! Practical Tips to Simplify Your Day While Empowering Your Kids! 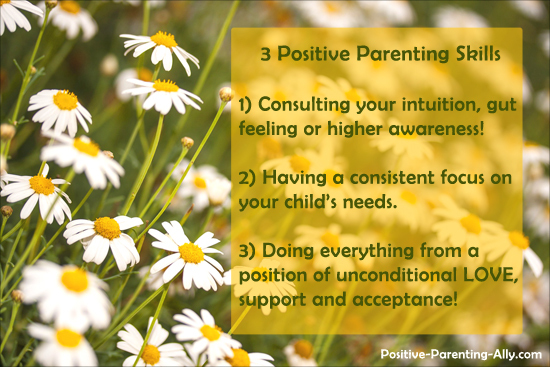 • Want to see how you can use positive parenting techniques in your parenting life? • In this positive parenting article I will invite you to go with me on a parenting journey through a typical day of mine. 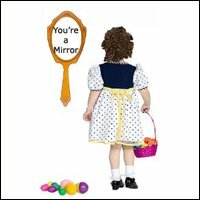 • Using my loving but strong headed three year old son as an example, I will show you how I personally deal with typical everyday situations such as e.g. dinner time stress, bedtime rituals, going to the toilet etc. 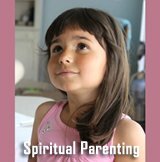 Before embarking on our parenting journey of parenting techniques, I need to lay out some of the basic principles that guide my positive parenting philosophy. Consulting my INTUITION, gut feeling or higher awareness! :Tuning in to my son and asking myself: What is needed here? Often we parents get confused when rigid child discipline rules or norms say one thing while our gut says another. I always trust my gut! A consistent focus on what my son NEEDS! : If my son is unhappy, sad or frustrated it is always because he has an unfulfilled need. A need could be e.g. my presence, my touch, my attention, my understanding, feeling seen and heard, respect, security, having a degree of say, hunger etc. Focusing on what children actually need is empowering kids! Doing everything from a position of UNCONDITIONAL LOVE, support and acceptance! : Even if my child is 'behaving badly' I strive to meet him with acceptance and not ride along the same emotional wave. This was a brief intro to the theory behind my techniques. Let's now see them in action! Gently Waking Up My Son in His Bed! Since this deep social bonding is so extremely important need for my son, I have decided to always try to do what I can to meet it. When waking up my son in the mornings, I go to his bed and lie down with him. I hold him while I gently talk about what's going to happen during the day. In this way he wakes up slowly and comfortably! I make sure I have enough time to lie there for at least 5 minutes until he feels he has had his morning dosage of closeness! If I don't take my time or just yank him out of bed, he can be cranky and extra sensitive for a long time afterwards! If I know that the day will present events that will break routine, I can spend time several days ahead preparing my son's consciousness for the upcoming change. Knowing what's going to happen makes him feel more in control. A sense of predictability is so important for his sense of overall security. If my son's dad is coming to visit us for a few days (I'm a single mom and my son's father lives abroad) I speak about the visit and what's going to happen several times a day, 2-3 days before his father arrives. Or if my son is going home to play with one his mates after kindergarden, I speak a lot about the event the day before and in the same morning until I'm 100% that he knows I won't come to pick him up after kindergarden. Striving Towards no Rush in the Mornings! Mornings can be hectic for many people. I always get up somewhat earlier than strictly necessary to make sure that I have a time buffer of at least half an hour. In this way there's always time for my son to properly finish something - a project, or a choice - before leaving. Often my son only wants milk in the mornings. However, sometimes he also wants to eat something as well. With my time buffer there's space for his eating if he chooses that one particular morning. At the moment my son has a thing about wanting to do everything himself like for instance, zipping up his winter coat. And while he tries, I'm not allowed to help him at all. Just extending a hand can make him furious - it's an interruption in his 'I can do it myself project'. Looking at him trying to zip up requires a truckload of patience because I can see that he will not manage. It's still too complicated. However, he needs to try and experience his limits. So I wait the 5-7 minutes until he's ready and reaching for help becomes his own choice. Often when I come to pick up my son in kindergarden, he's deeply involved in some game. When I come he often comes over to get a hug but then he tends to return to his game. If I don't have any other plans than going home to cook supper, I let him finish his game - even if it sometimes takes up to 15-20 minutes. 1) Because I want to support his independent play process without my interruptions - he knows we're about to go but needs to properly finish off the game. 2) Because I don't want him to suffer just because I myself tend to fight with the 'I'm-always-busy-syndrome' that so many people in western society suffer from. Often we're actually not busy - we just feel busy! We all know the difficult hour before dinner time when our kids are hungry and tired just when we parents need time to cook. Sometimes I give my son some fruit on the way home from kindergarden. In this way he's not starving before dinner time but still has space in his stomach for more food when dinner is made. Sometimes I let him have some milk while I put on a DVD for him to watch when I cook! When he's very attention seeking I try to involve him in the cooking as much as I can. Sorting our vegetables in bowls, stirring the pan etc. When he comes into the kitchen for attention, I give it to him as quickly as possible. Sometimes I stop all the hotplates and just sit and talk with him for 5 minutes and go into his room to initiate a game before returning to the kitchen. This fills up his need for closeness and he can most often return to playing by himself a little more afterwards. Sometimes I activate a game in the kitchen: drawing or quickly making a car track etc. so he can play in my presence. Dinner time can be stressful if we try to force things through that our children resist. Therefore I allow as much independent choice as possible for my son. If my son says he not hungry, I don't force him to come to the table. I want to inspire him to trust his feeling of hunger. If he then later feels hungry, he can have leftovers. However, it is very rare that he can resist seeing me eating and not having some himself. Everything I put on the table has to healthy, everything. In this way he can choose whatever he wants in as high quantities as he feels like. For instance, all my sauces are vegetable sauces (e.g. blended broccoli or carrots with cream - very quick to do) so if one evening he only feels like sauce I can give it to him with a clear conscience. If I feel that it's been some time since he last had a certain type of food, meat for instance, I present some vegetables that I know he's not too crazy about and some meat that I know he loves. But mostly he just regulates himself between veggies and meat - some days he only eats vegetables other days meat! After a long day of work, it can be difficult to shift activity mode and get potential stress out of the system. Often we tend to carry our sense of having to be in control of everything into family life. However, not only do our kids sense this restlessness and tense state of being, we can also transfer it to them if we're not careful. When I have come home and dinner and washing up is over. Time is dedicated my son if he needs it. Sometimes he doesn't and is happy playing by himself and I get to do some work around the house. Sometimes he does need it and housework will have to wait until he's asleep. I dedicate the few evening hours to him and then he can take them if he wants to! Making the Bath Become Irresistibly Interesting! I don't bathe my son everyday. There's simply no need to. Also, many studies have show that too much bathing can dry out the skin by removing its natural oiliness. There's no rule other than when he's dirty, he gets a bath. Often he doesn't want a bath. He protests when he sees me making the bath. However, I say to him something along the lines of: "I know you don't want to, but Mom is going to put water in your tub anyway!" Then I arrange all his bathing toys in an interesting way and squat beside the tub and play with the toys myself. Most often he can't resist this and shortly afterwards he wants to go into the tub himself. Preparing for Tomorrow Before Going to Bed! As already mentioned my son is very preoccupied with doing things himself at the moment. This takes time! A lot of time! To avoid potential morning stress even though I have a time buffer, I sometimes let my son change for tomorrows t-shirt, socks and underwear in the evenings before going to bed. Taking his clothes on and off is very challenging for him and takes a lot of time which we have in the evenings but not in the mornings. He's not yet fashion conscious but he does like to choose his clothes. So here I follow the same principle as when I cook. I present a range of clothes that he can choose from. E.g. if it's winter there will only be different types of warm clothes to choose between. My son hates to have his teeth brushed. Tooth brushing is one of the biggest challenges for my creative mind because one strategy might work one day but not the next. When he was younger, I let my son have a degree of say in tooth brushing by letting choose where he wanted his teeth brushed. Sometimes it would be in the bed, sometimes while watching Postman Pat, sometimes standing on a chair etc. At another point he wanted to brush my teeth at the same time I brushed his. Now, he wants to read a story before having his teeth brushed. No matter what strategy I use, I always make sure he knows exactly what's going on - tooth brushing is a definite (tooth brushing is too important in the long run to not be consistent) but he gets to decide how it will happen! When a toddler starts to go to the toilet, we as parents tend be overprotective in the sense of trying too much to control our kid's toilet habits. Even though our intentions are good - trying to avoid accidents - we actually may me be taking away our kid's unique opportunity to learn to follow his or her own bodily urges. 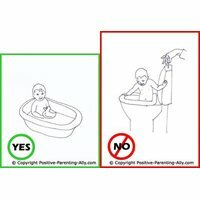 I only ask my child if he wants to pee if we're going our or if I can see on his body language that he really needs to go but is confused whether he wants to be bothered. Otherwise I let him manage by himself. If he then does have an 'accident' I try not to show irritation. He obviously doesn't like having wet pants so I let this natural consequence be his teacher. And it works! He comes over and says that his pants are wet and we change them and we talk about what happened. Talking about it in non judgemental, neutral terms, helps him become more conscious about the event. If my child says that he doesn't need to go to the toilet before bedtime, I respect it. Only once during these couple of month after not wearing the diaper anymore has he peed in his bed. Traditional child discipline dictates that independence is typically something that you teach your child. You roughen up your child by gradually taking away security so that the child will learn to cope alone. However, going to sleep all alone in the dark can be traumatic and result in conflicts before bedtime simply because going to sleep is associated with unpleasantness. My son never complains about going to bed, never. In fact, besides waking him up in his bed in the mornings, sleeping time is one of our most intimate moments. I lie down with him and we talk a little about his day and he puts his hands on cheeks which has calmed him down ever since he was a baby. And I lie there for 5-10 minutes until he sleeps. He loves going to bed. To him going to bed equals intimacy and calming down! My son has never slept very deeply. He has always woken up often and wanted comfort. He still wakes up a few times a night. When he does I go in and place hand on him, and most often that is enough for him to go back to sleep. However, sometimes awakens more and I simply carry him to my bed where he instantly calms down. 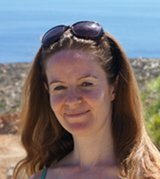 I hope you could use one or more of my positive parenting techniques in this article. 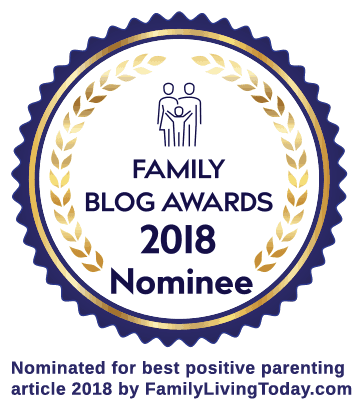 If you want more related parenting articles about positive parenting tips and empowering kids, you're welcome to continue your visit on my positive parenting website. See other articles below! 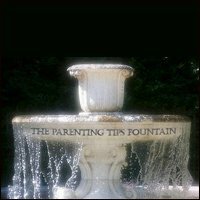 The Fabulous Fountain of Parenting Tips! A Resourceful Positive Parenting Article. How to Give Your Children Empowerment! 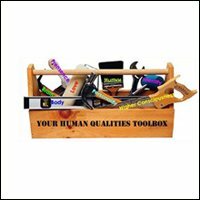 That Help You Turn Your Human Toolbox into Good Parenting Skills! Use the Raw Power of Presence & Beingness and See Your Kids Empowered and Encouraged! Hilarious Parenting Videos & Funny Kids Videos That'll Light up Your Day! Back to the top of this page about Positive Parenting Techniques! Practical Tips to Simply Your Day While Empowering Your Kids!